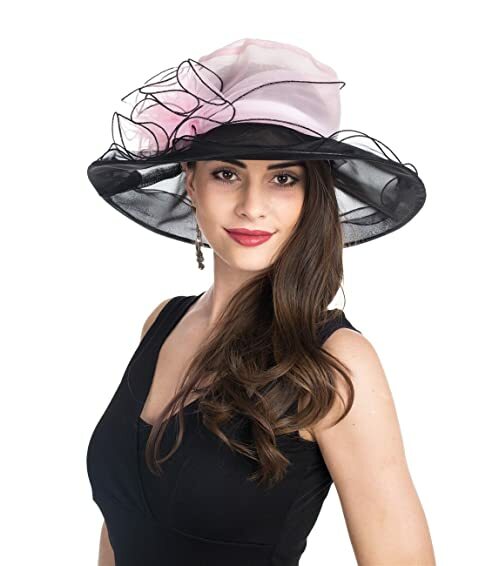 The dress hats for women are the type of hat that you would consider wearing when you go to special events such as weddings, churches, or racing events. These formal events require specific rules and etiquette as well as types of hats that you can wear to.The dress hat is one of the essential and special accessorizes that can make you stand out from the crown. There are several things that you should consider when you choosing the most suitable dress hat. You can choose from different types, material, and details on the hat. It could be a long and challenging task for you. To make it quicker and easier for you, we put down 10 of the best dress hats that you can find on the market. Check out our complete review to see which one is the best for you. 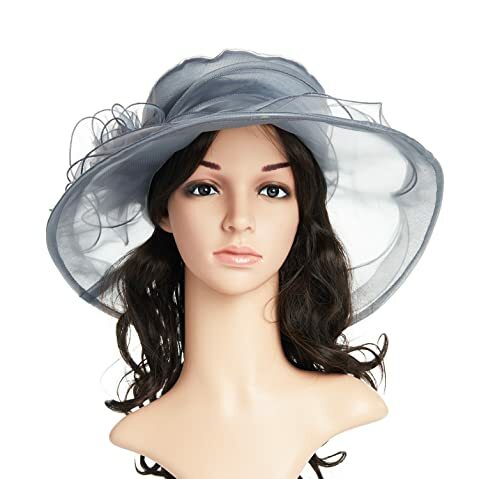 Its Main Features: This dress hat is made of 100 % of polyester featuring the organza and gauze style. It is available in 1 size that has the hat circumference of 22.5 to 22.6 inches. The width of the brim is 5.1 inches. There are more than 30 choices of colors for you to choose from. This dress hat features the style of the double layer of organza and gauze which makes the hat look elegant without being too stiff. The brim of this hat is so wide that it helps to cover a large are of your face as well as your neck and ears. It is made of high quality gauze to be very firm and solidly structured, which can last for a long time. Not to mention that the premium material is lightweight and well ventilated. As you can see, there are many choices of colors for you to choose from. In addition, the hat features many beautiful decorations for you choose including floral items, diamond casings, stones, and feathers. While this hat is available in 1 size, it comes with an inner adjustable drawstring so that you can easily adjust the hat so that it has a perfect fit on the head. You can wear this hat for events in the spring, summer and autumn. It is one of the perfect ladies dress hats to go when it is sunny outside and you want something to protect your sensitive skin. There are many things that you need to remember when you decide to wear a fascinator or a dress hat to a formal event. Follow this link here for more information. Its Main Features: Here comes another dress hat which is made of 100 % of polyester featuring the organza style. The hat comes with a floral detail. There are 8 choices of colors for you to choose from including black, grey, blue, pink, and yellow. Like other high quality dress hats for church, this hat is made of the premium quality which is lightweight and well ventilated. In addition, it is tough and easy to care for. Wrinkles might appear on the hat but you can steam iron it to make the wrinkles disappear in a short amount of time. In addition, the hat is foldable and packable. You can easily fold it and pack it insider your bag and bring it along with you when you go travelling. 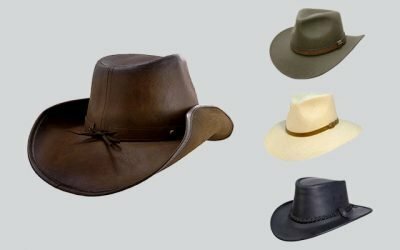 The hat comes with a wide brim to help cover a large area of the face as well as the neck. Not to mention that the hat is made with an excellent craftsmanship so that it is tough and solid. The floral detail is beautiful and gracious which adds an extra layer of elegancy to the hat. One small problem with this dress hat is that it runs a little bit larger than other dress hats that you can find on the market with the same design. If you decide to buy this hat, make sure you read the sizing chart of this hat carefully before you decide to make the purchase. 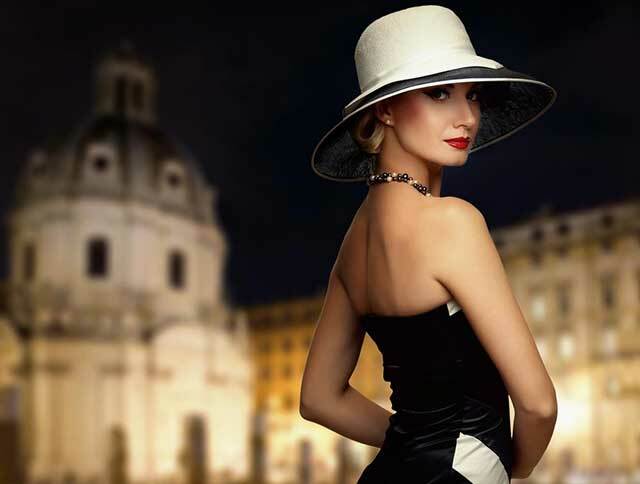 Its Main Features: Are you looking for a black dress hat for a formal event? Check out this fascinator from Aniwon. This hat is made of 100 % of wool with a mesh veil to cover the entire hat. It also includes 2 combs which are sewn onto the hat that you can find in the inner part of the hat. These combs helps to keep the hat stay secured on your head. This hat is available in the black color. You can also choose the red wine option. 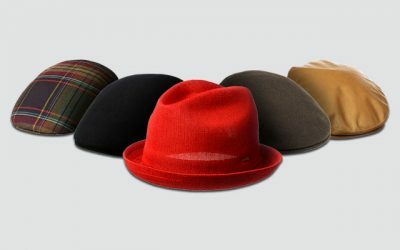 This dress hat is made of the high quality wool material, which is soft and smooth o the touch. It is also warm enough to keep your head warm in the winter. And while the fabric of this hat is thick, it is quite lightweight and breathable so that you don’t feel hot or irritated at all, especially when you have to wear the hat for a long time. Not to mention that this hat comes with an additional sweatband inside the hat to help absorb sweat, wick moisture away, and keep your head cool and dry all of the time. Moreover, this hat features the design of a vintage pillbox hat. You have two combs to keep the hat stay secured on your head no matter what. In addition, it comes with a strap with the Velcro closure system for you to easily adjust the hat to your best fit. The mesh part cover the full pill box and it is stitched into the hat nicely and firmly so that you don’t have to be afraid that the mesh area will fall off any time. In case you are searching for winter dress hats, this hat is worth considering as well. 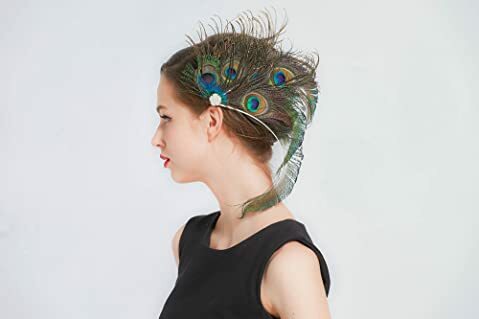 Its Main Features: This headpiece hat accessory is made of 100 % of polyester featuring the handmade peacock hairclip design. This hairclip features various peacock feathers of various hues along with pearls accent for an elaborate and elegant look. 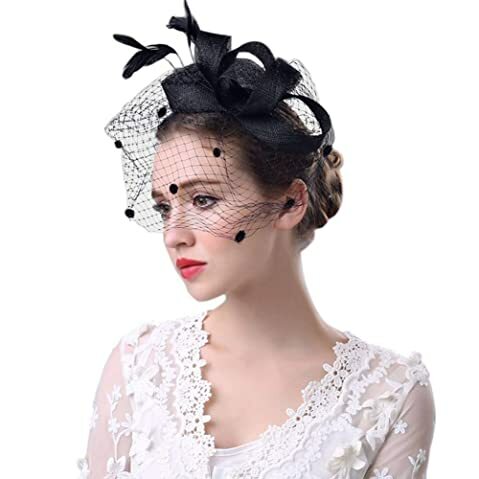 This fascinator is made with an excellent craftsmanship for a solid and sturdy construction. The peacock details are attached firmly to a sturdy silver clip. The clip clings comfortably to the head and it stays there. You can also attach the clip to your derby hat for a dramatic and unique look. It is also big enough to make a strong and unique statement but not so much that it becomes odd or makes you feel like you are carrying a burden. 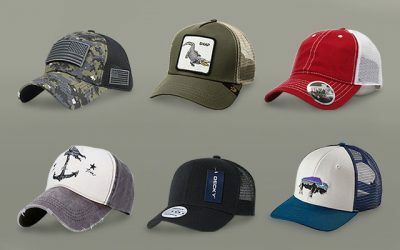 The feathers as well as other materials of the hat are of premium qualities which are tough and durable. They are easy to care for and would look bright and nice over time. Last but not least, this one is affordable without using the cheap material or having a cheap look. Some hairclips on the market might be made with hard glue, which you can easily spot. However, on this hairclip, the details are made with an intricate detail so that you will not notice any hard glue used to attach the peacock leather on the hairclip at all. 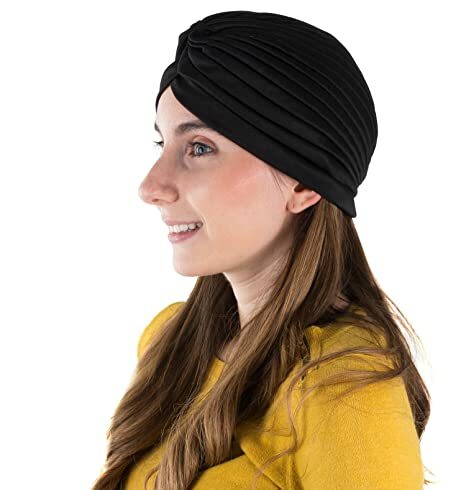 Its Main Features: This turban is made of 100 % of polyester. There are 12 pieces of turbans in one pack for you to change occasionally as well. It features an elegant knot at the front of the hat. You can also choose different sets as well. The turban is made of the premium quality, which is soft and lightweight. It is also tough and durable. Not to mention that you can wash the turban either by hand or with the washing machine. While this hat is available in 1 size, the material of this hat is also very flexible and stretchy. As a result, you can have a good and comfortable fit with this hat. 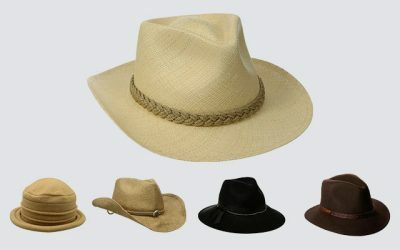 The hat is also well made with no loose stitched lines, making you more comfortable when wearing this hat. Last but not least, this hat is available in many radiant and colorful shades. These colors are also fade resistant so that no matter how many times you wash the turban, these colors are in the same shades. You can wear this hat to formal events, especially when you want to cover your head in case of hair loss. With its design and colors, the turban can help to make you stand out just like any other fancy fascinators that you can find on the market. The turban can be used in all seasons throughout the year as well. Its Main Features: Like some other ladies dress hats on the market, this dress is made of 100 % of polyester. It also features a 7 inch floral detail. You have several options of colors with this hat including the white dress hat as well as other choices such as black, yellow, blue, or pink. The style of this headwear includes a bouncy mesh ribbon and flight feathers. This hat brings a vintage and glamorous look with its birdcage veiling and flush amount of boa feathers. These details form ovals which sway nicely and elegantly in the wind. While this hat is available in 1 size, it has an inner adjustable drawstring that helps you to have a better fit with this hat. The classic mesh shape and elegant look of this hat is suitable on all kinds of head’s shapes. Another thing that I love about this hat is that it is well made with all of the delicate details. The floral details are firmly secured underneath with a headband and a clip to help hold the fascinator in place. 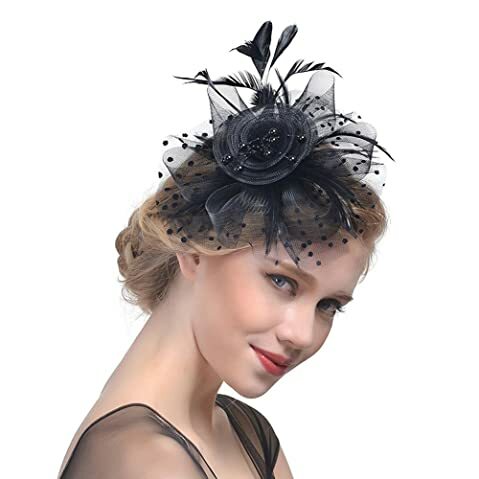 Not to mention that thanks to the secured clip, you can choose to wear this fascinator in many ways you desire- directly to your head or with a dress hat for extra effect. Alternatively, you can style your hair like a bun and use it as a bridal flower hair clip for a Vintage and timeless style. Last but not least, you can wear this fascinator with a hair clip or a head band. 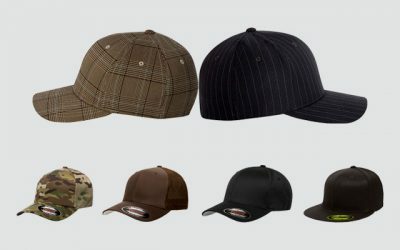 It is one of the most versatile pieces of headwear that I have ever come across on the market. 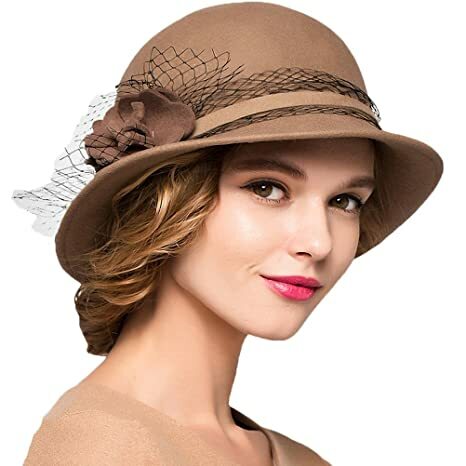 Its Main Features: Here comes another dress hat for the winter with a fancy and charming look. There are more than 20 choices of colors for you to consider including khaki, red, grey, and cream. This dress hat is made of 100 % of wool for the wool beret or 70% Angora & 30% wool for angora berets with soft lining. 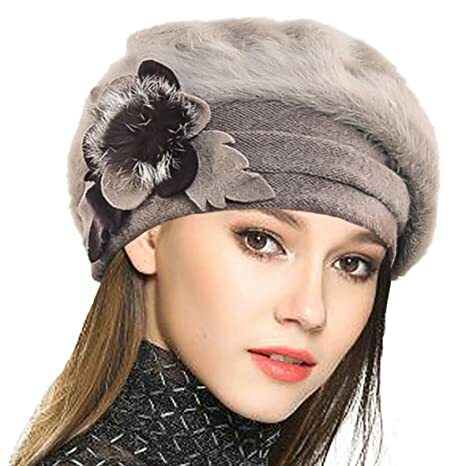 It features the style of the beret with the floral detail on the side of the hat as well as other details including the hairball, the leaf detail or the bow detail. The material of the hat is made of the premium quality so that it is comfortable and breathable, even on sensitive. This dress beret hat is smooth and soft that is capable of keeping you warm in the winter weather but it is still well ventilated to prevent sweat from trapping inside. In addition, the material of this dress hat is also stretchy and flexible so that it can bring you a snug and comfortable fit. In addition, this hat is made with an excellent craftsmanship so that all of the details on the hat are nicely stitched together. The details are also much secured and will hardly go off. 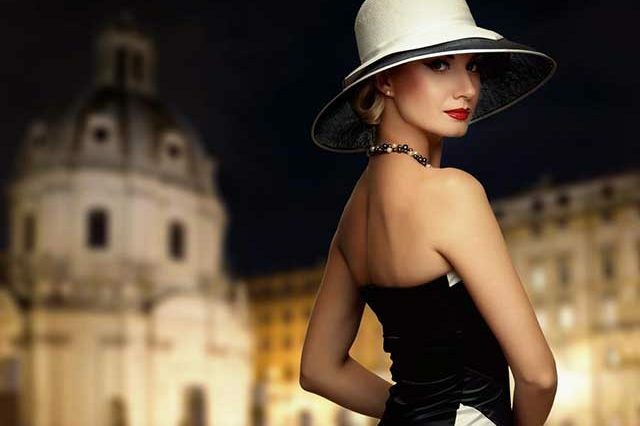 This dress hat is the ideal choice for anyone who is looking for a dress hat with the elegancy of the French style. It goes well with winter clothes such as a long sweater, a scarf as well as leggings and boots. Its Main Features: This dress hat is made of 100 % of wool featuring the design of a bowler hat. There are several options of colors for you to choose from such as camel, navy, red wine and black. It is one of the winter dress hats with a wide brim to keep your ears, your neck, as well as your face warm. 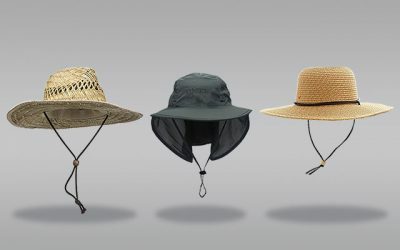 In addition, the brim can provide a lot of shades for your sensitive skin, especially when you have to take part in outdoor activities in a bright and sunny day. Thanks to the premium quality, this hat is soft and smooth on the touch. Moreover, it is also lightweight and breathable. The hat is thick enough to keep your head warm but also breathable enough to ensure you feel comfortable wearing the hat for a long time. Keep in mind that the hat is made from 100 % of wool. As a result, you need to pay extra attention when taking care of this dress hat to ensure the quality and the construction of the hat is maintained. For instance, you should wash the hat with cold water only and by hand only. You should also consider putting the hat inside a box to keep it when it is not being used. You can wear this hat when you attend formal event in the winter. With its elegant design, this hat is not only suitable for formal events, but it goes well with your everyday wear style as well. Its Main Features: This dress hat is made of 100 % of polyester featuring the design of the organza. There are several choices of colors for you to choose from such as black, white, pink, and yellow. This fascinator is attached with a satin band or crocodile clip. You can wear this fascinator in several ways. You can wear it with the crocodile clip or with the headband. It is easy to put on your head and it will stay comfortably. 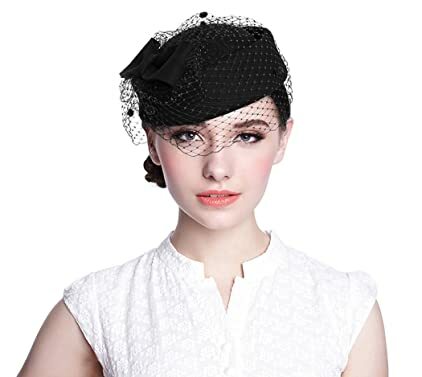 The nest veil adds a touch of elegancy to your look. Overall, the décor of the hat is quite unique and feminine as well. Not to mention that you have several choices of colors to choose from- for instance, you can choose the black option for a funeral. On the other hand, a brighter choice is great for a fun racing event. Like other high quality fascinators, you can enjoy the high quality material which is used to make the hat. The material as well as the colors is tough and weather resistant. In addition, it is beautifully made and you are not able to spot the hard glue which is used to attach these details together at all. 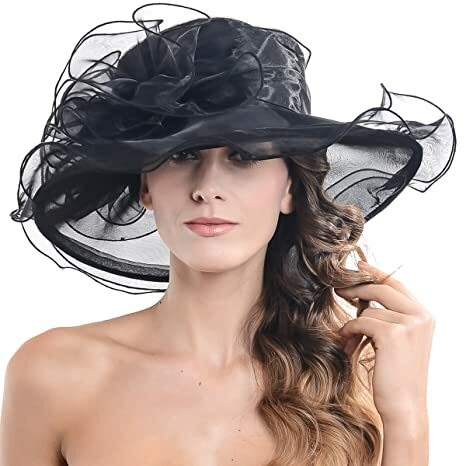 Its Main Features: This dress hat is made of 100 % of polyester featuring the wide brimmed hat design with a double layer of organza. There are more than 25 options of colors for you to choose from including blue, red, green, and yellow. This hat is available in 1 size. Still, it comes with an inner French satin headband which helps the hat to adjust and fit your head more comfortably. There are many choices of colors for you to choose from with this hat. All of the available colors are bight and radiant, which is fade resistant and will stay in the same shade for a very long time. The details on the hat are made with an excellent craftsmanship for an elegant and beautiful look. This dress hat does have some loose threads coming out but you can still snip it and nobody would notice any difference. The brim of this hat is very sturdy and solid. While it is large, it will stand well against a high wind. In fact the brim will not become flimsy in case of a high wind at all. 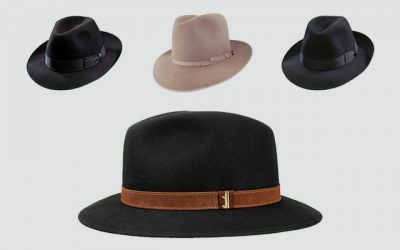 You can slightly shape the brim of the hat to the style that you want as well. 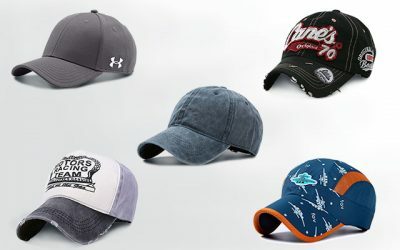 Last but not least, like with other high quality dress hat on this list, you will be satisfied with the material of this hat as it is tough and durable. It also makes the hat lightweight and well ventilated. It is an ideal choice for a day out. 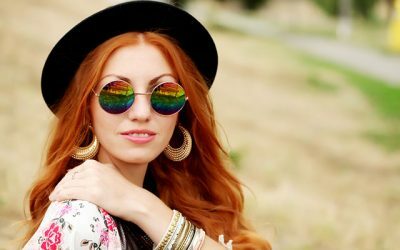 Here is the list of the best dress hats for women that you can find on the market in 2018. 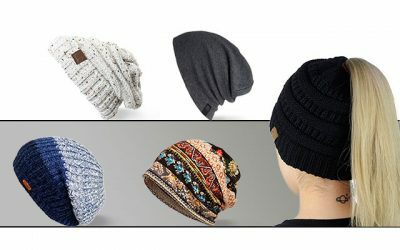 As you can see from the list above, these hats are so different in styles and designs, making it a hard time for you in choosing the one that fits your style the most. I know that it would take you a lot of time and effort in choosing the best one. However, it is worth in the end as the most suitable dress hat will enhance your style in a great deal and make you stand out in these formal events. 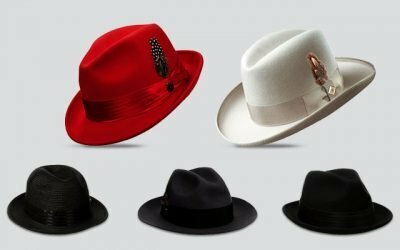 I hope that with all of the reviews above, you can find a hat that you like to purchase, or at least, know what you are looking for in a dress hat. You look absolutely stunning, Darling! You have the most pretty face. Thanks for sharing!